You might call it a failed expansion. 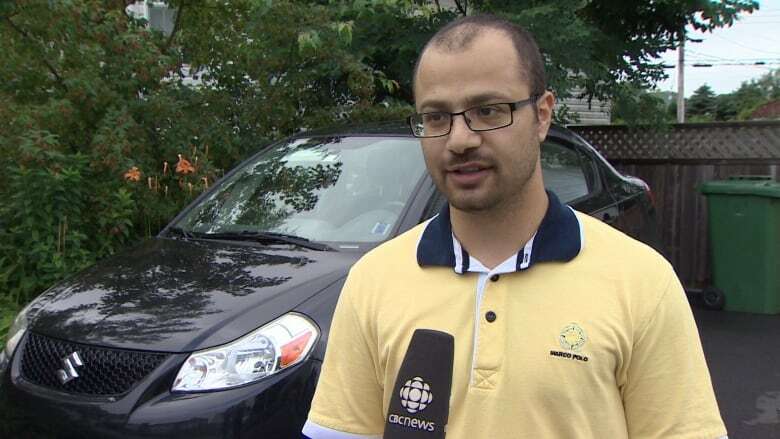 One year after Uber brought its ride service app to Halifax — there are no cars on the road. The company purports to offer a service called UberBlack, considered the luxury version of its standard UberX. With UberBlack, you get a more high-end vehicle. With UberX, you get an average vehicle. In Halifax, you get neither. That's disappointing to Mach Zreik. The Saint Mary's University student said he applied to be an Uber driver four months ago. "So the background check, and etcetera, etcetera. And I put that through, I put in all my information for insurance and papers and all that. And it just kind of lulled for a little while," he said. "About a month after I applied I got an email from the Ops Manager — his name is Deep — he said, 'We're not really that big in Halifax but stay tuned and we'll get back to you.' And three months after that here we are and still not an Uber driver." Zreik said no one from Uber mentioned licensing. City of Halifax spokesman Brendan Elliott says they made it clear to the company when it first launched in Halifax: no taxi license, no driver. The city considers Uber a dispatch service, like other taxi companies. Therefore the company does not need a license — but drivers do. "So if somebody wants to drive with Uber, they would have to be licensed as a taxi driver with the city. And right now we have no licenses available for conventional taxi licenses." Elliott said the only way a driver could work for Uber without the risk of a $233 fine would be to operate an accessible vehicle or a city-approved limousine. He said there is no cap on those licenses, which can cost up to $400, plus the extra cost of the appropriate vehicle. "They understood that and they told us that anyone who would be driving for Uber as a limousine driver would already be licensed," said Elliott. Ejigu Haile has that license, and drives a limousine from the airport. He said he joined Uber for a couple of months last year. "But I quit with them, because it's not really fair. I go from here to far away for a few dollars. That's not a fair price for us, and the gas price is very high, and we're driving a luxury car, so they needed to take care of that too," he said.